NEAT, CLEAN, TASTEFULLY DECORATED, 3 BDRM, AIR CONDITIONED T/HSE IN DESIRABLE LOGAN'S CREEK. Boasting 3 bdrm & 2.5 bath. 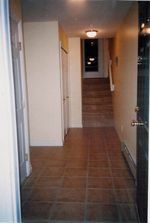 (mn level powder room & 3 pce ensuite), spacious open plan, gorgeous laminate floors, dble tandem garage and so much more. Covered front dr area & spacious foyer allow you to greet guests out of the weather. Main level boasts spacious liv rm w/gas F/P, 2 pce powder rm and country kitchen w/B/I D/W, & spacious E/A w/dr to balcony. 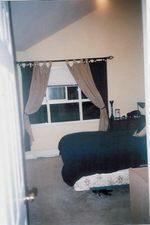 Upper level boats 4 pce bath and 3 bdrms incl. spacious master w/vaulted ceiling & 3 pce ensuite. Tandm dble garage. In-suite laundry. 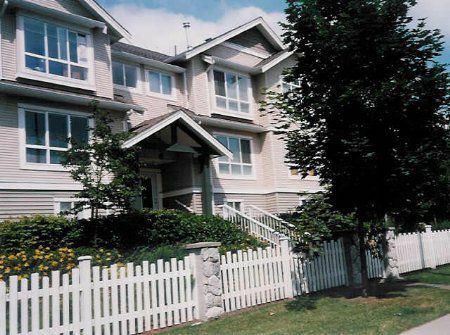 Convenient central location close to schools, shopping and transit. Low maintenance fees $110.41. Air conditioners included. A terrific opportunity to get into the market in affordable luxury. Convenient location, attractive decor, specious open plane w/ 3 bdrm, & 2.5 bath and low maintenance fees make this a must see.